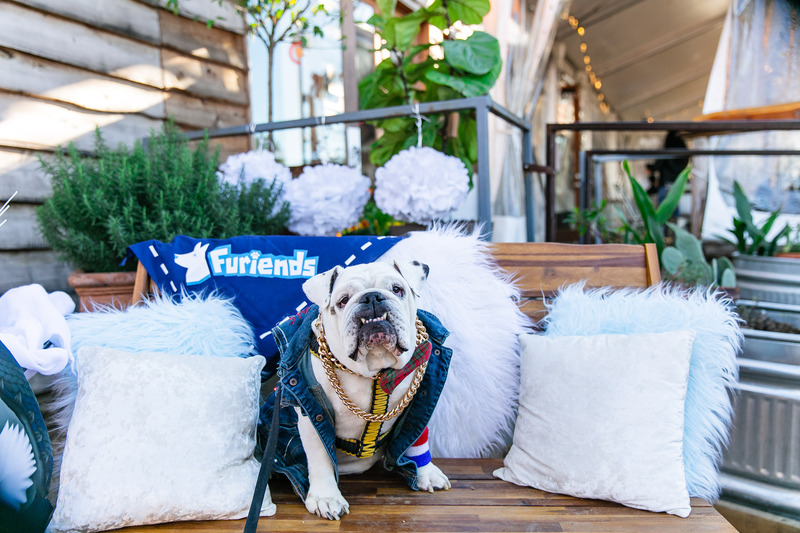 With Furiends, our goal was to deliver a true-to-life experience of owning a dog. 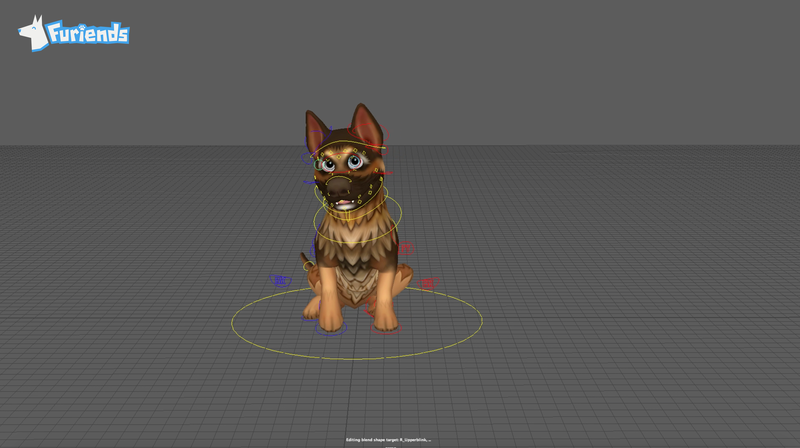 That being said, you might wonder why we decided not to have our dogs look realistic, and look more like something you might see in NintendogsTM. 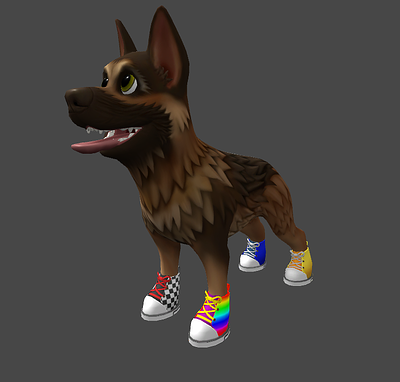 We wanted the game to be adorable, expressive, and maybe even a little wacky too (considering all the clothing options you can get for your dog.) We wanted each individual dog to convey its own personality and respond to your actions promptly and definitively. All of these aspects were influenced by aesthetic appeal. Keep reading to learn why looks are not superficial, but actually essential, in game development. Our dogs were developed with the ability to clearly express how they were feeling, utilizing exaggerated facial expressions and behaviors. We needed to exaggerate these things because our dog had to convey everything it was feeling without metrics and stats popping up all over the screen. This decision to use hyperbolized expressions was a solution in regards to hiding metrics and stats, but it also gave us a lot of creative freedom. The need for more extreme responses and animations led us to the cartoony style we have today. With our cartoony style, we weren’t bound by realism, which allowed us to create various types of clothing and customization options for your furiend. 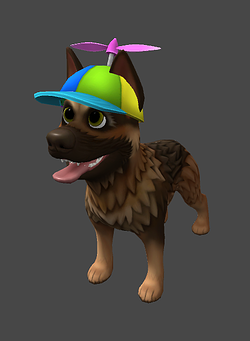 For example, we could give the dog a propeller hat and sneakers. Our imaginations could run wild to give users exactly what is it they were looking for. This sort of creative freedom in cartoony games can be seen in the wildly successful FortniteTM: they develop flashy and funky skins thanks to the art style–and it just works. A game like Player Unknown: BattlegroundsTM, however, is more bound by it’s realistic art style. The more they go outside the realm of realism, the more their art feels disconnected. By sticking to a slightly fantastic and cartoony (but not childish) aesthetic, we’ve avoided that disconnect. This one is more specific to Furiends. 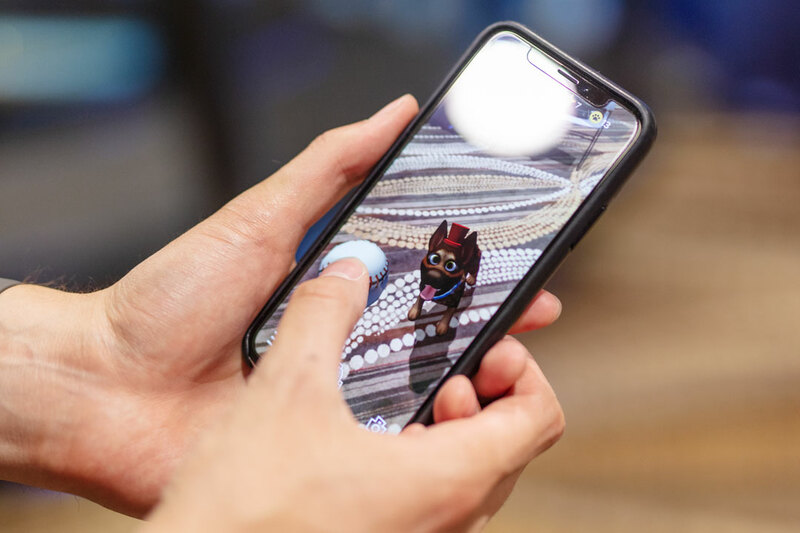 With an Augmented reality game, we needed something that popped off the screen, something that’s differentiated from the rest of the environment (coming from the camera feed). With our cartoony art style, we didn’t have to worry about the dog potentially being lost in the scene. 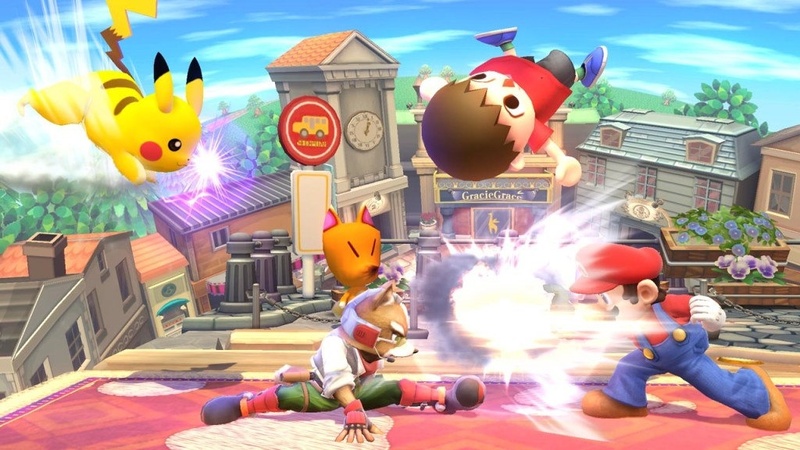 Having something vastly different than its surroundings, it naturally became the center of attention for the player, rather than being lost within the chaos of the real world. While it’s not exactly the most fun topic, everything concerning game development comes down to resources. With the high resolution of phones today, we would’ve needed to pump out an extremely high quality dog if we had chosen a realistic art style. We also would have needed to keep up with the expectations a user would have when comparing the game to reality. Everything you make is subconsciously juxtaposed against its real counterpart, which ties back to creative freedom. 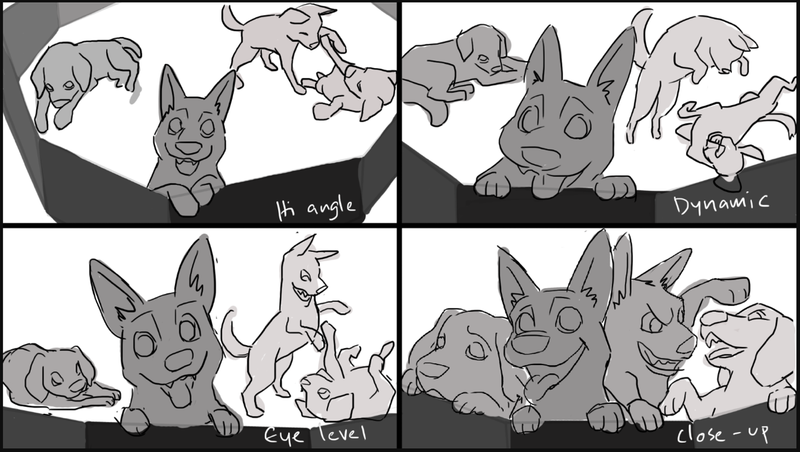 What is the level of detail we need to aim for in order to make our dogs as convincing as possible? How do we render fur on mobile hardware? And so on and so forth. We would have struggled with all of these questions for a long time had we gone in that route. The level of resources we’d need to devote to one dog would’ve been astronomical, and we would not have been able to deliver the number of dogs we have today. We also wanted to best utilize our team’s strengths. If you were to look at the art style from our previous games, you’d realize they were all rather cartoony. It was a place the team felt comfortable and where they thought they could deliver the best results. When beginning game development, our art team’s background with cartoony games gave us a leg up and a great starting point. There’s obviously learning on the job when starting a new project. On our team, we noticed that each dog we made was incrementally better than the last. Embracing this learning curve will help you solidify a style, even it doesn’t happen immediately. Does it serve the gameplay? Can you work within the confines of that art style to continually develop the assets you need now and in the future? Can your team deliver their best work with that art style? Having a clear path for the future is dependent on answering these questions as thoroughly as possible. You’ll see how we have attacked these questions as you play Furiends! To find out the moment the game is released on the App Store, sign up for email alerts in the form below. For every update between now and then, be sure to follow us on social media.